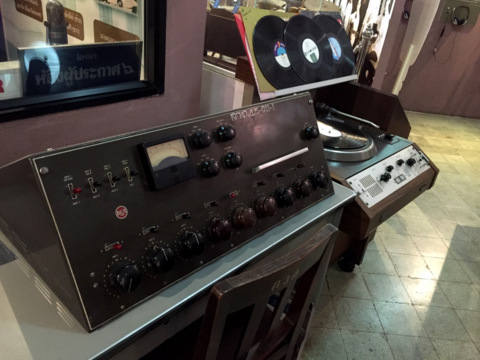 The Broadcasting Museum Bangkok traces the advent of radio and television broadcasting in Thailand and the Public Relations Department, a historical journey in the development of mass communications in the country. It’s another of the many museums in Bangkok that preserve a special aspect of the Thai history to be included in a Bangkok museum tour. 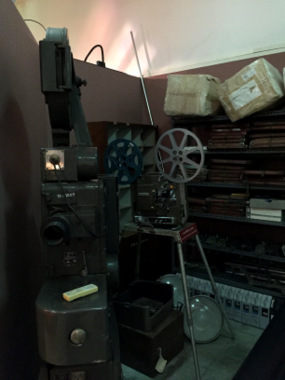 Housed in a single storey building by a scenic lake in the grounds of the Public Relations Department, the Broadcasting Museum Bangkok provides a nostalgic trip down memory lane. It’s also a startling reminder of how much broadcasting has advanced in the last few decades. 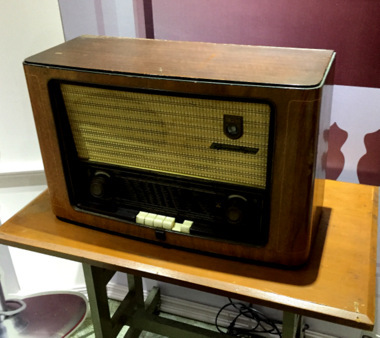 The Broadcasting Museum Bangkok records the humble start of radio broadcasting in 1928 when the Minister of Commerce and Communications, HRH Prince Purachatra Jayagara, the Prince of Kamphaengphet, initiated an experimental station. This station, under the Post and Telegraph Department, was located at the mouth of the Ong Ang Canal, one of the canal rings around the old city. The experimental radio station was later moved to Sala Daeng. 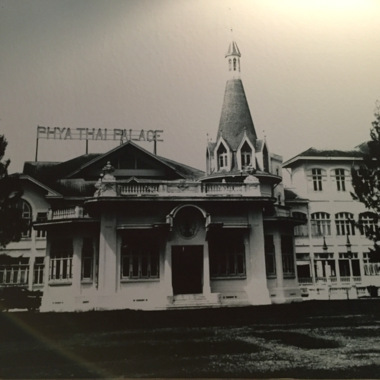 In 1929 a 2.5 kW transmitter was purchased from the Netherlands costing 80,000 baht and installed in Phaya Thai Palace in Ratchawithi Road near the Victory Monument. 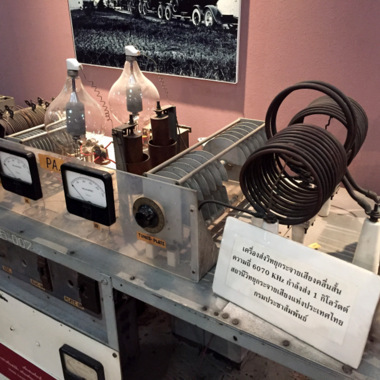 This paved the way for a radio broadcasting service in Thailand on the medium and short-wave bands. 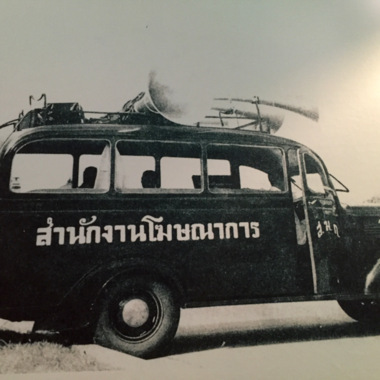 In 1930, Thailand’s first radio station, “Radio Bangkok of Phaya Thai” commenced services when HM the King Prajadhipok (King Rama VII) delivered the opening address from the Grand Palace and relayed to Phaya Thai Palace. In 1939 the function of radio broadcasting was transferred from the Post and Telegraph Department to the Public Relations Department. During World War II, Thailand declared war on the Allies and allowed Japanese troops passage through to British Burma and Malaya. A railway line was also constructed to link Bangkok with the Thai Burma border in Kanchanaburi. This resulted in the Allies bombing several places in Bangkok and Kanchanaburi. Radio played a vital role in those days instructing the population on air-raid precautions and in boosting public morale. After the 1932 coup when Thailand changed from an absolute to a constitutional monarchy, a Publicity Division was set up in the Grand Palace on 3 May 1933. The responsibility of this department was to disseminate news and information and help create a better understanding of the functions of government in a parliamentary democracy to a society that has known absolute monarchy for centuries. This publicity organization went through several changes in name; Publicity Office, Publicity Department and finally the Public Relations Department in 1952. This name has remained ever since. 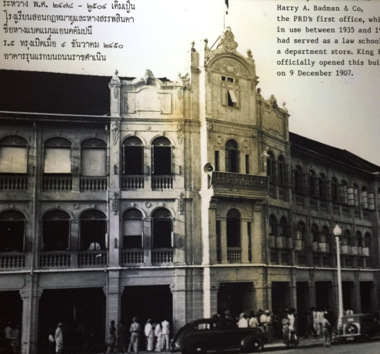 From 1935 – 1961 Public Relations Department was located in an old building in Ratchadamnoen Central Avenue that housed a former departmental store, Harry A Badman & Co which had occupied the building since 1907. Later in 1961 the land where this old building stood was purchased from the Crown Properties Bureau, the old building was demolished and a new building constructed. 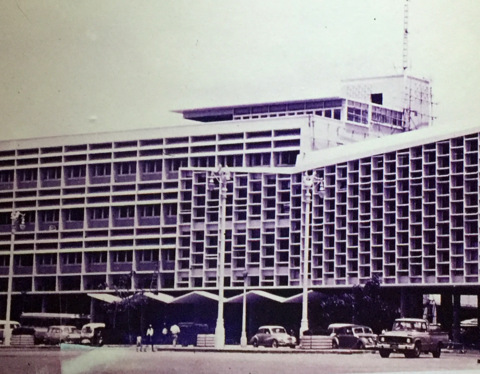 This new building opened on 14 August 1963 by the Prime Minister Field Marshall Sarit Thanarat. Dark clouds loomed on the political horizon in 1992. The situation boiled over in May 1992 when demonstrators massed at the Democracy Monument to protest against the government of General Suchinda Kraprayoon. During the violent military crackdown on the demonstrators from 17 – 20 May 1992 in what became known as Black May, the Public Relations Department building was burned down. 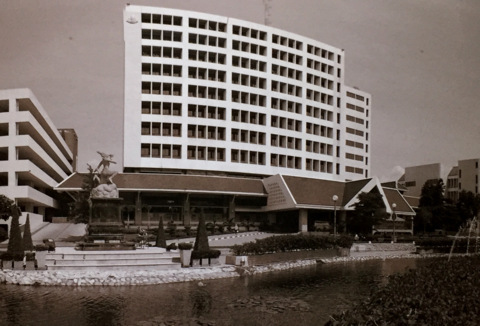 A new building was constructed in Soi Ari Samphan, Phahon Yothin Road and officially opened on 7 August 1997. 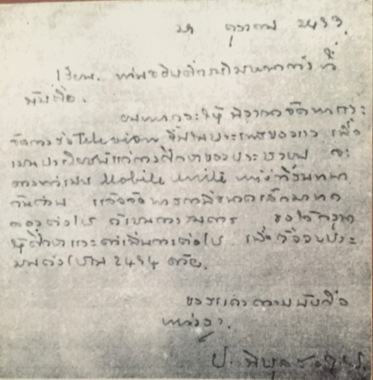 On 25 October 1950 Prime Minister Field Marshall Phibun Songkhram sent a handwritten note to the Director-General of Public Relations Department to study the feasibility of a TV service in Thailand. 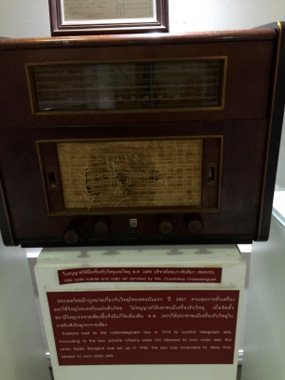 A copy of that historic note is retained in the Broadcasting Museum Bangkok. In the post-World War II period, Governments realized the importance of mass communications in mobilizing public opinion. 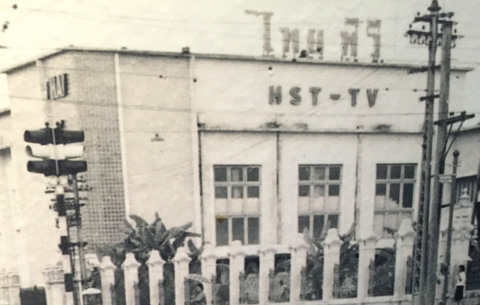 In the 1960s and 1970s when Thailand became involved in the Vietnam War and the fight against Communism, mass communications became even more critical. Personnel were sent to the USA in 1954 to study television engineering operations to provide the technical expertise to start a TV station. On 24 June 1955, Channel 4 started operations in Bangkhunprom, Bangkok to become the first TV station in Thailand and Southeast Asia. ITV was started in the aftermath of Black May 1992. 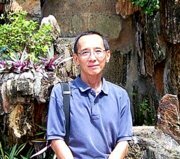 During the military crackdown, people in Thailand had little information on the carnage that was taking place because of the government controlled media. It took Thais living overseas to inform their compatriots back home of what was happening. These revelations shocked the nation. Arising from this, an independent TV station was considered necessary for independent and objective news station. That’s how ITV came about. But the independence didn’t last for long. On 14 January 2008 TITV was shut down and reopened the following day as Thai Public Broadcasting Service (ThaiPBS) under the Public Relations Department. Radio and television broadcasting have come a long way since those early days in the 1930s. Cable and satellite TV has added to the wide range of entertainment. In 2014, digital TV was launched in Thailand providing viewers in addition to six free analogue channels, 36 digitals channels. Radio broadcasting has taken a great leap forward with almost 50 stations catering to different tastes and even radio available online. 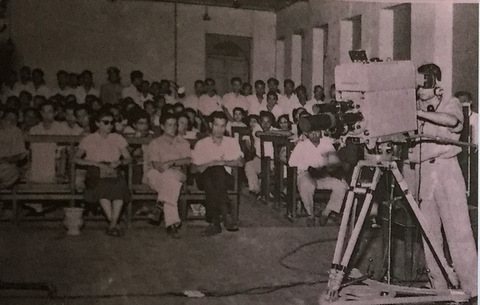 Mass communications today is has advanced light years ahead of those early days in 1930 when Radio Bangkok of Phaya Thai first came on air. If the map doesn’t appear, click on this link. A convenient way of getting there is to take the Bangkok skytrain (BTS) to N4 Sanam Pao. From there, take a motor cycle taxi to the Public Relations Department (PRD). 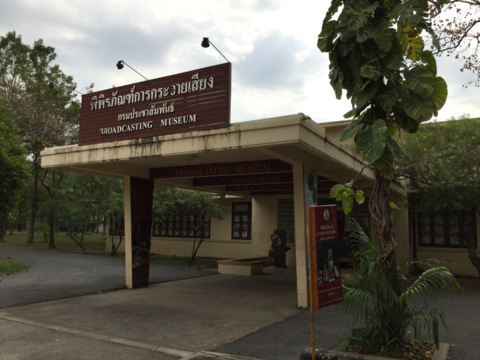 The Broadcasting Museum Bangkok is within the grounds of the Public Relations Department. 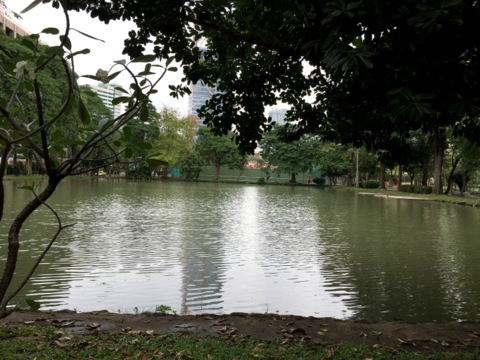 While you are there, drop in to the Phaya Thai Museum, a Bangkok community museum. It’s in the same building. 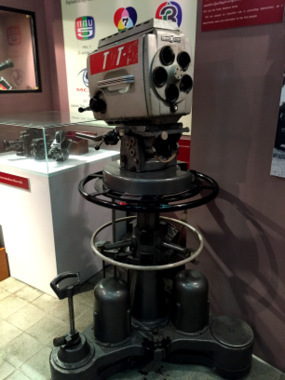 Admission to the Broadcasting Museum Bangkok is free. So is admission to the Phaya Thai Museum.